Maple Grove Farms, the largest packer of pure maple syrup in the United States, began pursuing TRUE Zero Waste certification in 2014 as a five-year plan to become a more sustainable business. The goal of the project was to reach a reduction and waste diversion rate of 91 percent. The steps taken to achieve certification consisted of a robust review of recycling and composting activities, initiating new programs to divert items from waste, purchasing new equipment to allow for the sale of recyclable materials such as cardboard and plastic and thorough review and adjustment of all packaging coming in from suppliers. Posters, tutorials and presentations that explained the new processes for disposal of certain materials were all used in order to educate Maple Grove Farms’ employees to make a difference. 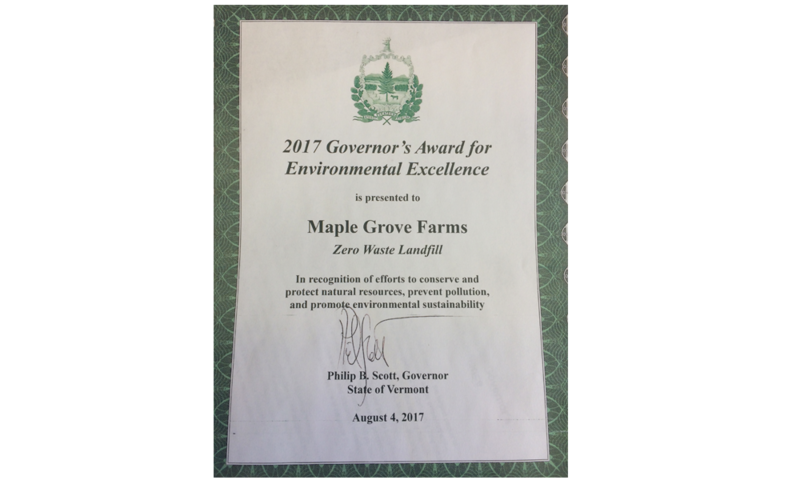 In 2016, Maple Grove Farms exceeded its goal (two years ahead of plan), reaching a 92 percent waste diversion rate. 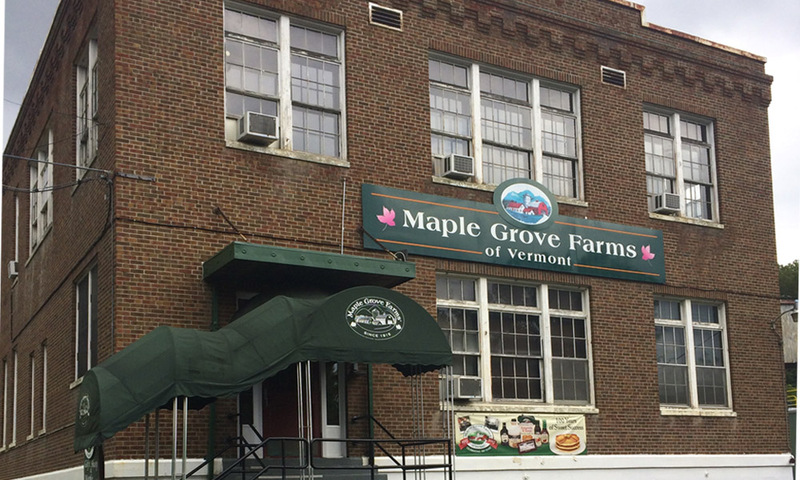 Through employee engagement, innovative programs and supportive partners, Maple Grove Farms has been able to significantly reduce its waste and exceed its planned goals every year. Throughout the process, Maple Grove Farms employees also gained personal knowledge and appreciation for enhanced sustainability, and many have brought the environmentally friendly practices they learned back to their homes. 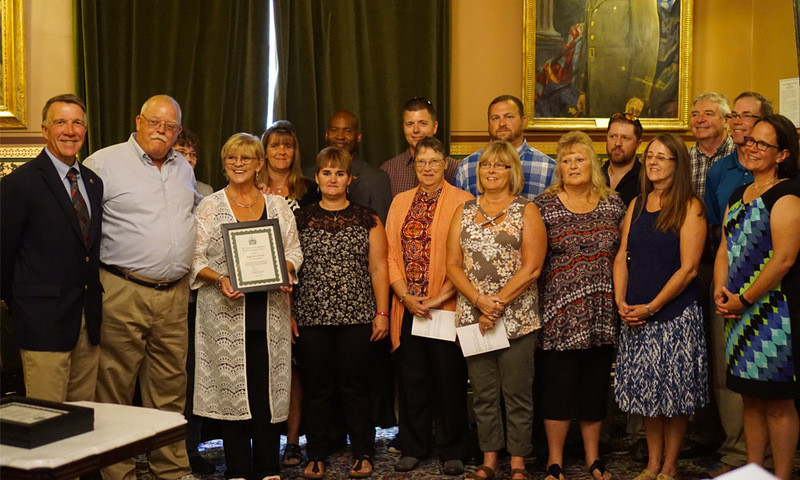 In August 2017, Maple Grove was presented the Governor's award for Environmental Excellence with its TRUE Zero Waste certification from Vermont Governor Phil Scott at the State House.